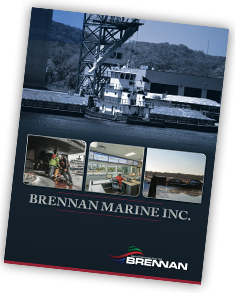 Short Haul Towing | Barge Transportation | Brennan Marine Inc. If you need to take a smaller load over a short distance, Brennan Marine’s AWO-RCP compliant towing vessels, ranging from 800 to 1,800 horsepower, and experienced crews will provide you with fast and efficient transport. We can respond to a number of locations along the Upper Mississippi River and will provide competitive pricing to move your cargo. As part of our comprehensive harbor management services package, we will right-size our operation to fit your needs.